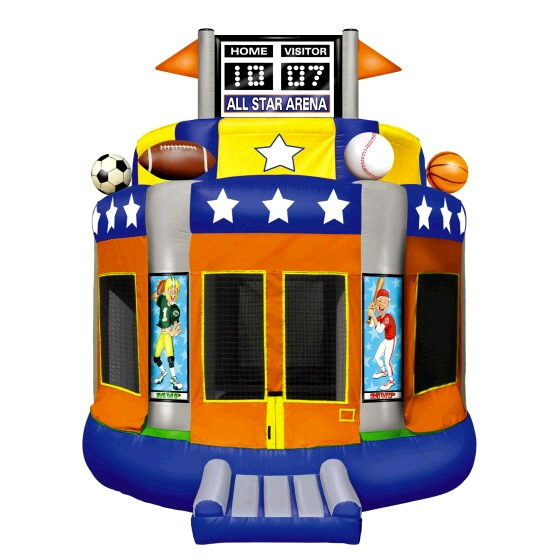 Whether it is soccer, football, baseball or basketball, this Sports Arena Bounce is just the ticket for a great party! This winner of a bounce measures 15' x 15' x 17'h. Weight limit of 200 pounds. * Please call us for any questions on our sports arena bounce rentals in Pipersville PA, Hatfield PA, and Bucks & Montgomery Counties in Pennsylvania.